It actually started on Thursday but that's not as alliterative! But first! 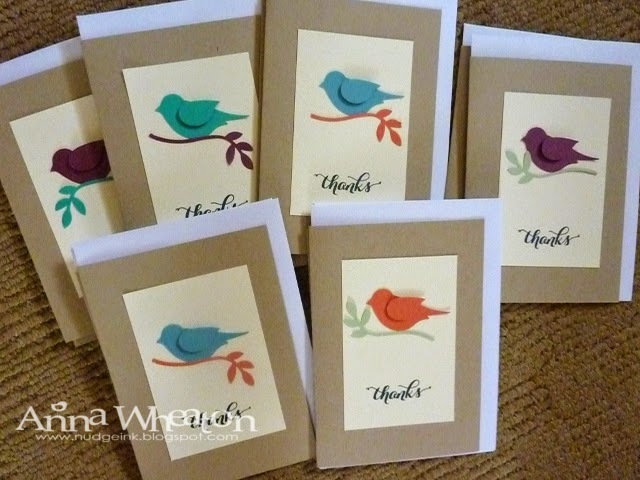 I had my catalogue launch back in January and, as usual, we had a raffle with products donated by Stampin' Up! 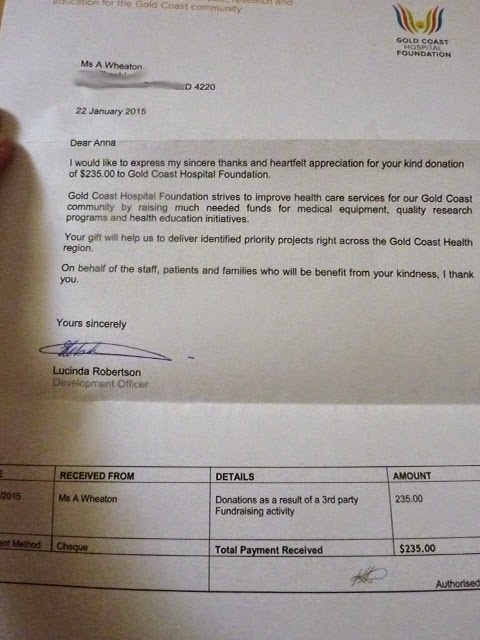 We raised $235 for the Gold Coast Children's Hospital which we donated directly to them. Below is the letter/receipt I received in reply. 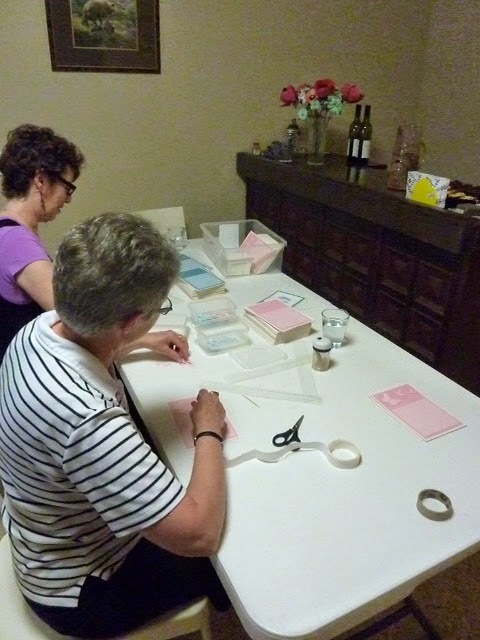 Our Christmas Charity Workshop held last year raised the money to buy supplies to make our footprint cards for the hospital so on Thursday and Friday last week, we got busy. 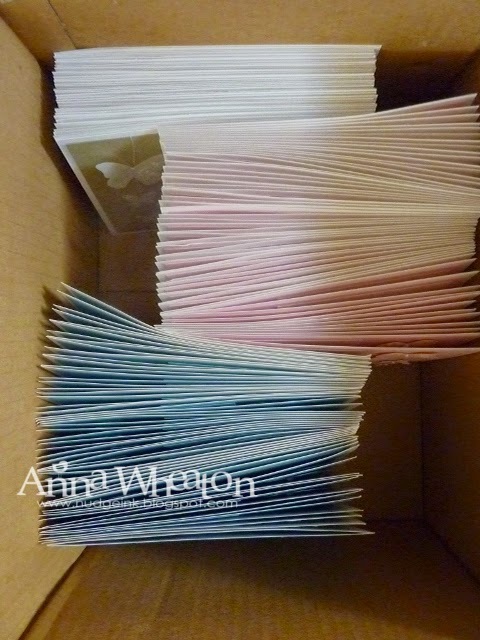 This is the box of finished cards: 42 gold, 59 pink and 56 blue. A total of 157, in case you were too tired to add up! We had a group of ladies on Thursday night. 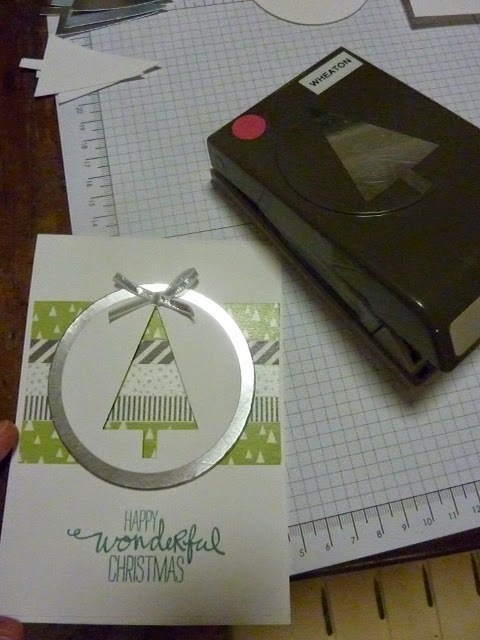 We also made some Christmas cards for troops - now that's really planning ahead. 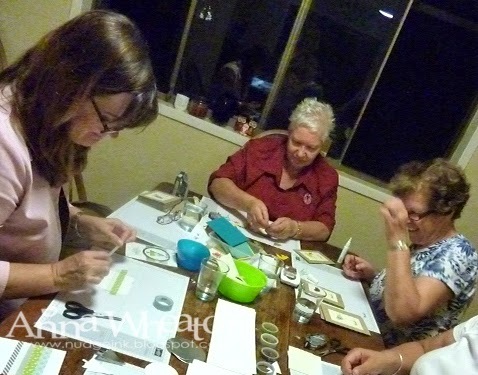 I had leftover card guts from our charity day last year so the ladies assembled those. Marlene gets the gold star award for her perseverance with bow tying. We still have the makings of quite a few more cards and I have plenty of offers of help. Thanks to everyone who came along and helped last week. We had 19 ladies in total. That is such a lovely generous effort. We had a wonderful time. Thanks too to everyone who attended last year's fundraiser which of course meant we could purchase the materials.